We are selling products for martial arts already since 1992. Until end of 2005 Budoten had been active under the brand Budoshop-Online. Begining 2006 Budoten Ltd. as successor in interest took over the business. Today Budoten counts to the martial arts suppliers with largest collection and is one of the leading martial arts suppliers in Germany. Budoten supplies consumers and retailers as well. Retailers, clubs, club retailers may take advantage of Budoten's favourable special shopping conditions. With reasonable prices Budoten is supporting and promoting sports. Would you like to get some insights? Please click here. The company comes from a small martial art club in the state of Brandenburg by the name of Bushido Lubwart Bad Liebenwerda. This was beginning of the 90ies short after turning point in East Germany when it was still a very taff job to find goods for martial arts at a reasonable price. This was the reaason, that the club itself started to sell martial arts products. First the offer was directed to the club members only but this changed in course of time. About seven years later, it was end of 1999, the idea for a homepage was born, triggered by a spam-email. This spam message promoted goods for martial arts. It was linked to a very simple page. It had only table without any product images. The prices there had been significantly higher than usual sales prices. We said to us: "We can do this much better." So we were starting our work. Approximately 4 month later, it was April 2000, we opened our online-store by the name "Budoshop-Online". Soon deficiencies of the first shop manifested, which lead to the decision, to look for a better, more flexible shop-software, which enables a faster data availability and first of all a much more convenient opportunity to update the webshop. After a long search we have found the suitable solution. In May 2001, about one year after the starting point of our homepage we presented the new webshop to the public. Budoten is one of the first martial arts suppliers who was awarded the sought trustmarks. Always Budoten has commited itself to meet highest expectations concerning data protection, privacy and supply security. We do not just only obey the by law given minimum standard, Budoten goes much further. Already in 2002 Budoten (at this time still Budoshop-Online) was awarded the Trusted Shops Certificate and shortly afterwards the seal "Certified Online Shop" of the European Trade Institute and in addition the Austrian E-Commerce-Certificates. All those certificates stand for trustworthiness through transparency and consumer protection. In cooperation with Trusted Shops Budoten offers a free money-back-guaratee for its customers. Therefore, we don't offer the Trusted Shops money-back-guarantee anymore. We strongly believe, that any legally purchable product the customers is looking for at Budoten must be possible to buy here. However Trusted Shops demanded to stop the selling of a wide range of items in order to keep the trustmark. We made a decision in the interest of our customers against Trusted Shops. Due to its raising awareness and the clearness of our homepage the webshop of Budoten was accepted already in 2003 and included in the "Web-Address-Book for Germany" which lists the 6000 most important German Homepages. We are proud, that we are considered worthy to belong to the top among the more than 6 million german websites. Less than 0,1% of all German websites are listed in this standard work. As far as martial arts are concerned Budoten was the first online-shop which was and is listed there without any interruption. Beginning 2005 we relaunched our whole website. Clear structures, significantly improved loading times are the results of the work of the web-designers and the IT departement. e-rating.at states for the new website high user-friendliness, favourable supply conditions, a consumer-friendly modes of payment, high data security for all customer-related data and a rapid availability. As for November 2005 Budoten / Budoshop-Online holds in all 5 listed sections the first place: Trade: first place out of 1277, sports: first place out of 88, sport clothes: first place out of 49, mail order: first place out of 541, video: first place out of 116. Although Budoten is a company resident in Germany, Budoten was included in 2005 in the first Austrian Online Shopping Guide 2005 which lists the 500 best online-stores from Austria. Beginning 2006 we had to find a new organizational structure due to a rapid growth of the whole company. Legal reasons required a quick solution to outsource the company and to separate company and club. This situation lead to the foundation of Budoten Limited Martial Arts Supply. The new company continues the business with the accustomed excellent service and links to good old traditions. In August 2006 we took an other important step. Budoten® is registered as Brand in the German Trade Register. Although Budoshop-Online was quite famous we could not register it as brand. In reminiscence of Budoshop-Online we of Budoten continue to use the japanese characters 武道天. These characters are read as 武 Bu 道 Do 天 Ten, which means something like "martial art heaven". In 2001 Mr. Shintaro Yamazaki had the idea to use these characters for our online-shop. Even though the character "天 Ten" means "heaven", the pronounced word means a shop or store (even it is written different). A heaven for martial artiests, a shop, which offers (nearly) everything for martial artists - this Budoten and still so much more. The label Budoten, which is not only the brand name of our company, we are selling a lot of own martial art products. It is Budoten's declared aim to offer high-quality products, at favourable prices. Success committs in many aspects. On the one side we are gratful to our customers for their trust and loyality to Budoten. But on the other side Budoten is aware of his social responsibility to people who don't have the most basic necessities of life, who have simply the most worse living conditions. It became a nice tradition of Budoten, that we donate 1% of the sale in December for charity projects. Furthermore Budoten is supporting several aid projects, clubs and non-profit organizations with money and donations in kind. Creating places for apprenticeships is an integral part of Budoten's social responsibility and goes for us without saying. Since September 2008 Budoten is training apprentices. In cooperation with different educational institutions Budoten enables interships and traineeships in the different parts of the company. In Spring 2008, the introduction of the house-in embroidery-service had set new standards. 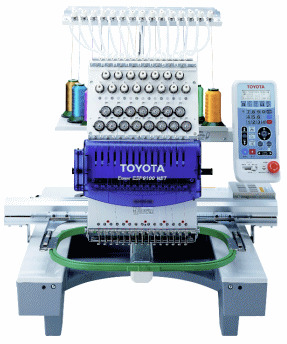 Most modern embroidery-machines enable embroideries at highest quality. The transcription-service for names and the opportunity to embroidery besides Latin characters even Japanese, Chinese and Korean characters in a big variaty of styles is completely new in Germany. Thus Budoten became the market leader. The constant expansion characterizes the development of Budoten since the foundation in December 2005. The rapid climb of orders and revenue leads to the opening of a new distribution center in March 2007, whereby Budoten is nearly doubled its capacities. Since the foundation of the company the number of employees had tripled. In January 2008 Budoten is starting as first German martial arts supplier an own blog which us since then a daily growing number of visitors. Besides diverse reorganizations in backoffice and optimizations in the fields of order processing and customer service we are starting again with preparations for a complete relaunch of our entire website. We wanted to keep all the adavantages and good sides of the old homepage while there had been many weaknesses and insufficiencies which should be eliminated same time. A real gargantuan task. Nine month later, short to christmas 2008, the new online shop was opened. The new homepage was met with strong interest - and our technicians are very proud on this new online-shop, the now already forth version. But we of Budoten are not satisfied yet. As always we strive for the best and continue working in the interest of our customers on further improvements. Since many years Budoten still holds a top position among the Germany martial art suppliers in the internet. Service and website are exemplary for the whole branch of business. Many nowadays expected features of any martial arts shop had been first introduced here. But all this is just on ather milestone. No reason to rest now. To stand still is to fall back. Therefore all the achieved results are for us only motivation to work even harder to improve our service and the quality of goods offered by us. Budoten is proud, that our webiste holds according the Alexa-Page-Ranking place 10.340 among the German websites; worldwide still place 169.703 (as for February 24th, 2009). Thus stating, that www.budoten.com does not only count to those websites which are considered to be most important but real visitors prove it with facts. Due to the cooperation with other big martial arts suppliers Budoten has a huge product range. Among others Budoten is working together with companies like Kwon, DanRho, Budoland, Sportimex (Budomarket), Abanico, Budo-International and Haller Stahlwaren. In summary our product range covers more than 15.000 items for all kinds of martial arts. This is the probably largest selection in the German-speaking internet.